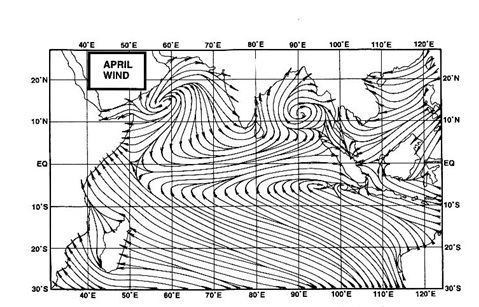 A low pressure area formed over east central Arabian sea on Sunday evening, and on Monday lies over east centralArabian sea.Subsequently, the cyclonic circulation over east central Arabian sea off Goa-Karnataka coasts has merged with the above system. The trough at sea level from Karantaka coast to Lakshadweep area now extendsfrom the centre of the low pressure area to Lakshadweep area. As a result, daily clouding with thundershowers are seen and experianced in the Saurashtra regions, and some moisture incursion in interior Maharshtra also occured. But, as on Monday, the Monsoon has moved only upto Alibag, south of Mumbai, and is just off Mumbai now.It covers southern region of Mah. south of Pune. With the existing off shore trough and the low pressure in the Arabian Sea, the monsoon can move northwards within 24 hrs. But, as discussed in my previous blogs, it may remain weak for a few days after advancing. Again, it all depends now on the low in the Arabian Sea. If it moves away from the Indian shores, the advanced monsoon will definitely get weak. But its moving towards the coast of Gujarat, will surely give an overall boost to the monsoon current. Effective heavy rains will be from Maharashtra to M.P. Further north movement, is still hazy and uncertain timewise. Heat wave conditions have re-appeared in west Rajasthan and adjoining Sindh. 46c at Ganganagar was the highest day temperature on Monday.